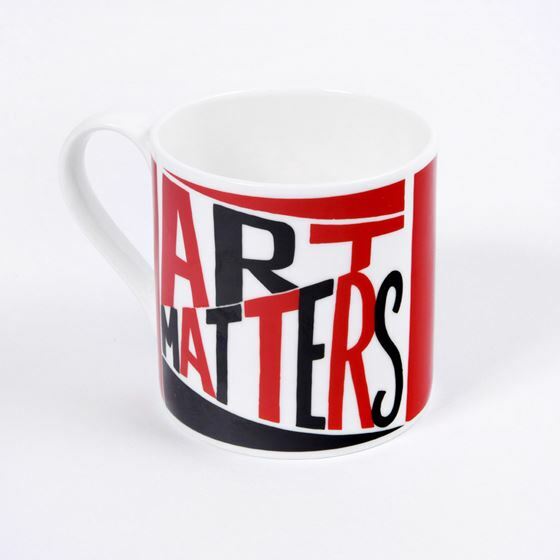 The Art UK bone china mug makes a great gift for any tea or coffee drinker. 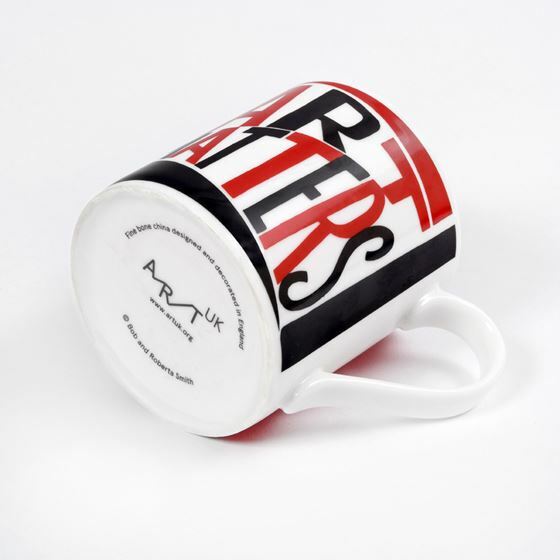 This bone china mug has the signature black and red Art Matters design, created exclusively for Art UK by Bob and Roberta Smith RA. All profits from this range support the Art UK charity. Base stamped with Art UK logo and "designed by Bob and Roberta Smith RA"